The first trailer for Planet of the Apes: Last Frontier has been posted to the game’s dedicated YouTube channel. The game will be set between 2014’s Dawn of the Planet of the Apes and 2017’s War for the Planet of the Apes films, and promises to deliver “unprecedented levels of immersion and empathy to choice-based-adventure on console and PC” according to a press release from FoxNext Games. Planet of the Apes: Last Frontier is a narrative adventure game of conquest, betrayal and survival with multiple endings. When the fates of a tribe of apes and a band of human survivors intertwine, two worlds collide as their precarious existence hangs in the balance. Set between Dawn of the Planet of the Apes and War for the Planet of the Apes films, Planet of the Apes: Last Frontier plunges the player into a rich, cinematic experience where every decision impacts the fragile balance between peace and war. Players will be given the opportunity to play both sides of the growing conflict, gaining a deep understanding of the motivations, hopes and fears of humans and apes alike. The destinies of each species rests entirely on the player as the game pushes towards a tense, fragile peace, or a final bloody battle. 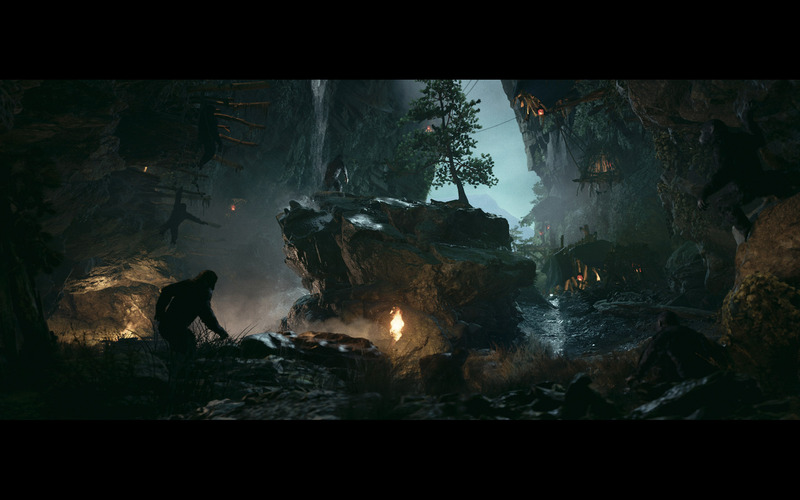 Planet of the Apes: Last Frontier is a collaboration between FoxNext and The Imaginarium Studios, the performance capture studio founded by noted mo-cap actor Andy Serkis (Lord of the Rings, Star Wars: The Force Awakens). Serkis first mentioned the game during a panel at last year’s New York Comic-Con, and described it as “[feeling] like an interactive movie”. With this first trailer, he says that the game “represents an exciting marriage of technology and creativity, all set in a rich universe of which I am very proud”. Planet of the Apes: Last Frontier will be releasing for PC, PlayStation 4, and Xbox One this fall.